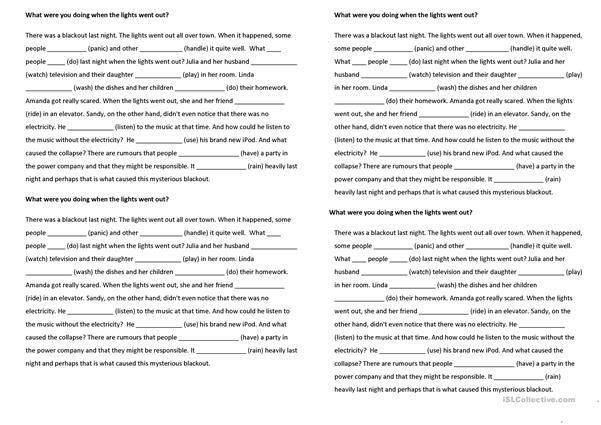 An exercise to practice the use of Past Continuous tense. 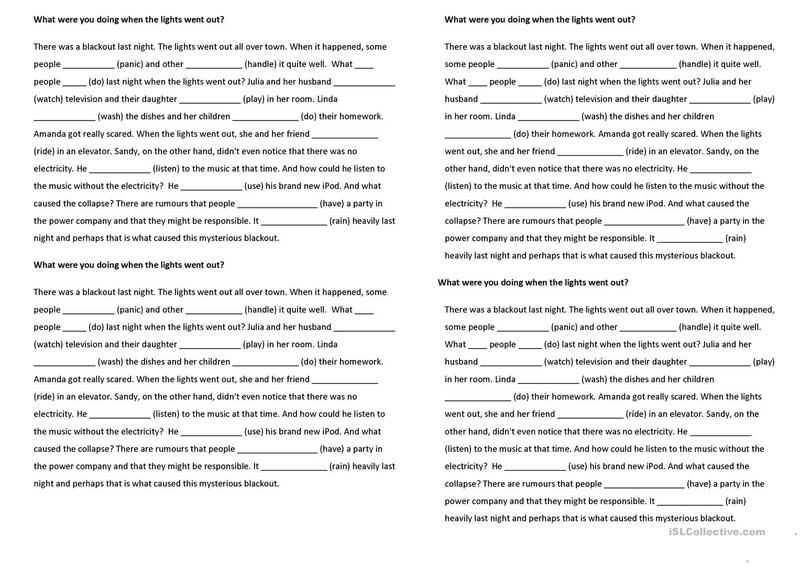 This writing exercise follows a listening exercise, which is a videolesson from youtube LINK: http://www.youtube.com/watch?v=jJjvidajTVA. The above printable, downloadable handout is intended for elementary school students at Elementary (A1) level. It is a useful material for consolidating Past continuous (progressive) tense in English, and is a valuable material for honing your students' Listening, Speaking, Reading and Writing skills. spelapacnik is from/lives in Slovenia and has been a member of iSLCollective since 2012-10-09 23:34:49. spelapacnik last logged in on 2019-03-25 17:34:10, and has shared 14 resources on iSLCollective so far.